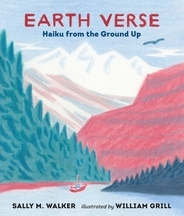 In a stunning combination of haiku and impressionistic (but accurate) art, this one-of-a-kind book encourages readers to think playfully about our planet and its wondrous processes. Sibert Medal–winning author Sally M. Walker covers Earth’s many marvels — fossilized skeletons of plants and animals, terrific volcanic eruptions, the never-ending hydrologic cycle — in sometimes straightforward, sometimes metaphoric three-line haikus. Expertly drawn art by William Grill, author-illustrator of Shackleton’s Journey, provides a visual reference for each poem. In clear and creative back matter, Walker and Grill further use their skills to provide additional detailed explanations for the science behind each concept. A unique, artistic intersection of poetry and science, Earth Verse is sure to enthrall any and all readers interested in the world around them. Jane's heart ached for the world, but what could she do to stop a war? This energetic and inspiring picture book biography of activist Jane Addams focuses on the peace work that won her the Nobel Peace Prize. From the time she was a child, Jane's heart ached for others. At first the focus of her efforts was on poverty, and lead to the creation of Hull House, the settlement house she built in Chicago. For twenty-five years, she'd helped people from different countries live in peace at Hull House. 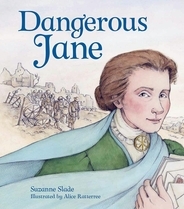 But when war broke out, Jane decided to take on the world and become a dangerous woman for the sake of peace. 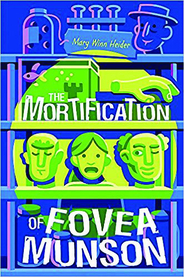 Dead bodies are the worst.... Fovea Munson is nobody's Igor. True, her parents own a cadaver lab where they perform surgeries on dead bodies. And yes, that makes her gross by association, at least according to everyone in seventh grade. And sure, Fovea's stuck working at the lab now that her summer camp plans have fallen through. But she is by no means Dr. Frankenstein's snuffling assistant! That is, until three disembodied heads, left to thaw in the wet lab, start talking. To her. Out loud. What seems like a nightmare, or bizarre hallucination, is not. Fovea is somebody's Igor, all right. Three somebodies, actually. And they need a favor. With a madcap sense of humor and a lot of heart (not to mention other body parts), this is a story about finding oneself, finding one's friends, and embracing the moment. The third book in the “Liberty Falls Elementary” series (after Class Dismissed and Unschooled) finds the fifth graders visiting a mysterious mansion once owned by the eccentric inventor and founder of their town. Legend has it, undiscovered inventions are hidden in the house. 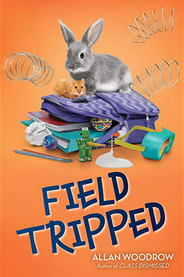 But with hidden traps, thieving schemes, mischievous pranks and the snowstorm of the century, can the students save the field trip and the mansion, or will this be the last field trip in school history? 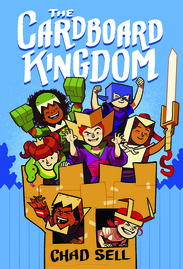 The Cardboard Kingdom is a graphic novel about kids, creativity, and cardboard! 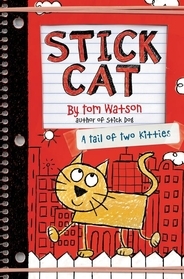 The book follows a variety of children who all live and play in the same neighborhood -- throughout the many chapters, you'll see each child's story unfold, overlap with other kids' adventures, and finally converge upon an epic final quest before summer's end!